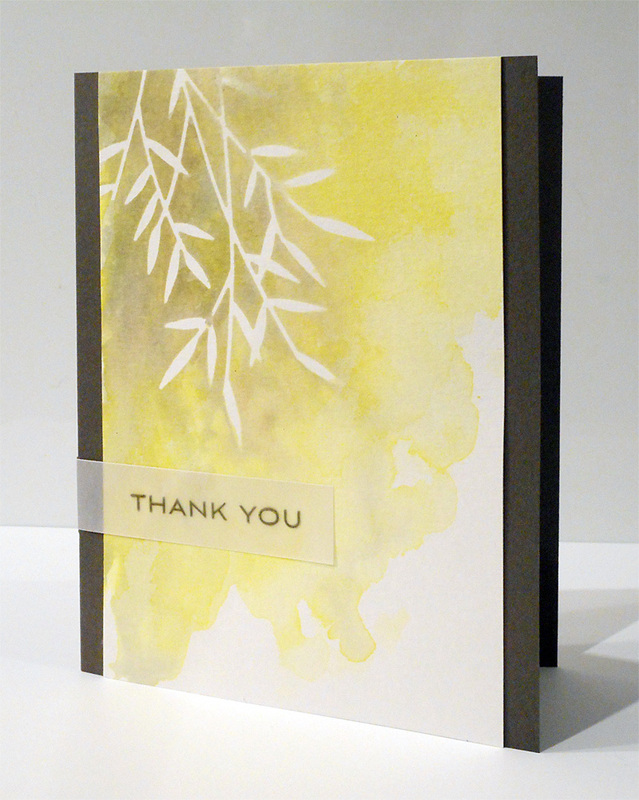 This card was made with both the CAS(E) this Sketch #129 and The Card Concept #38 challenges in mind. I thought I’d die-cut some stamping mask paper, pop it onto watercolour paper, then splash Distress Ink around… but is there a trick for getting mask paper to stick to watercolour paper? LOL I used the smooth side, but no matter how thoroughly I pressed the mask paper down it kept lifting up. Argh! Anyway, here’s the result. 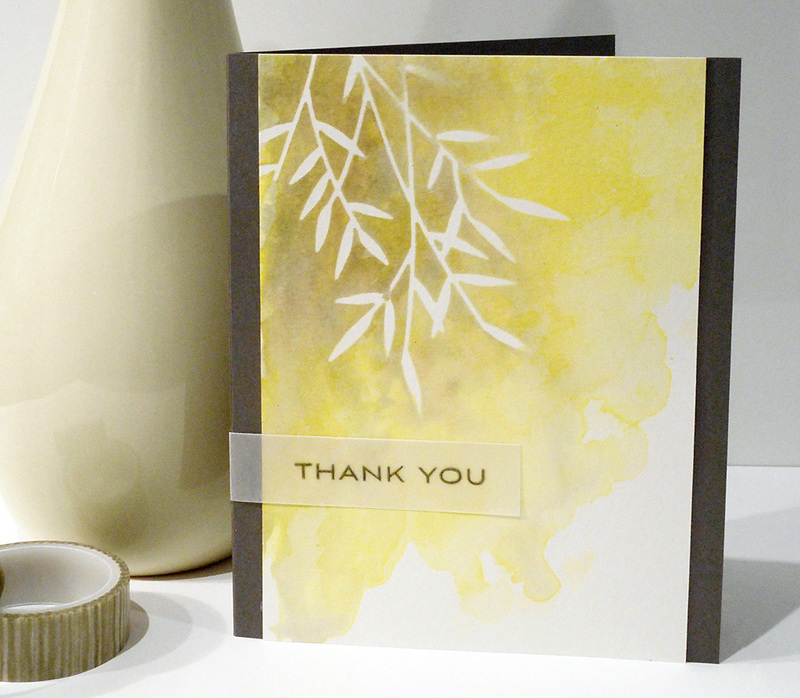 The card base is a warm slate grey in real life, not quite as brown as it appears in some of the photos. I have no idea what brand it is: I just liked the colour when I saw it in open stock at a local scrapbooking store. The Distress Ink colours are Squeezed Lemonade with a tiny bit of Fossilized Amber for the yellows, and Hickory Smoke with a bit of Pumice Stone for the greys. 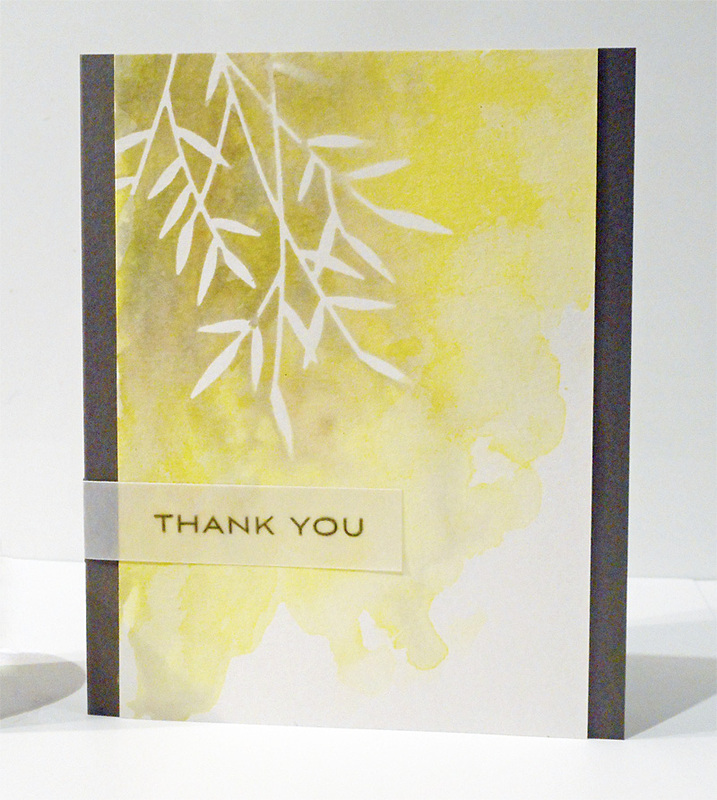 The sentiment is from Altenew’s Many Thanks set and is stamped in Stone Grey StazOn ink on vellum. So Pretty! I love the masked leaves! Thank you for sharing! The watercolouring was fun and I’ll definitely play with that some more. I love this! Such a pretty design. Very pretty watercoloring! Your background is so pretty! I love the design. Thanks for joining us at The Card Concept!